Find flexibility and freedom while performing difficult poses and be on your way to increased muscle strength and support with Peace Yoga’s yoga blocks. Perfect for supporting any posture or stretch, our yoga blocks are made from sturdy and supportive foam material for the ideal addition to your yoga routine. If you have trouble executing a certain pose or achieving your favorite stretch, Peace Yoga Blocks will provide you with the extra lift and push you need to open your chest, reach your feet, and master your most challenging poses, all on a safe and comfortable platform. Intended for both novice and seasoned yoga practitioners alike, these blocks are designed to offer optimal comfort while helping to improve the overall alignment of your body. Lightweight yet fully stable, we offer a variety of vibrant yoga block colors to perk up your yoga practice. 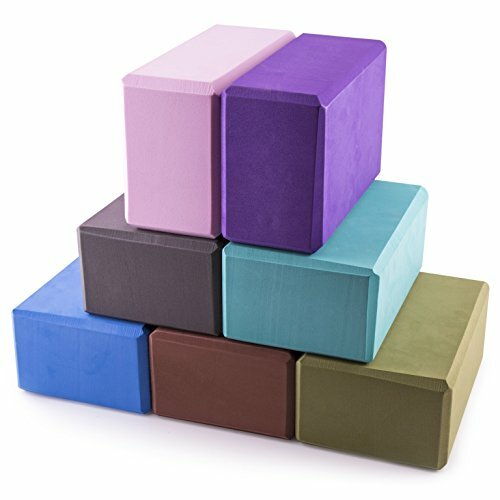 Build your confidence with Peace Yoga’s yoga blocks made for your comfort, made for your support, made for your success.